“Islam is a universal message that is valid for all peoples at all epochs. Islam never prohibits something unless it contradicts the Qur’an or the Sunnah of Prophet Muhammad (peace and blessings be upon him). Thus, it is the duty of a Muslim to follow the example of righteous people and not to allow any matters of heresy in Islam. 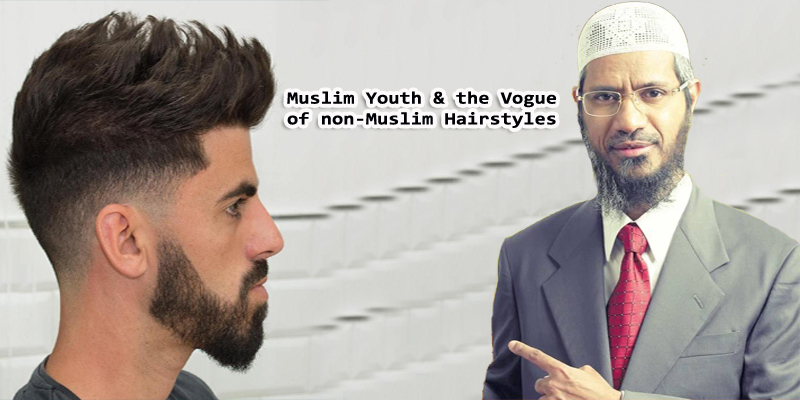 Hence, he is not to stick to the odd habits of non-Muslims in styling their hair. Such way of shaving is prohibited as it causes distortion of man’s original figure and make him resemble the accursed Satan. It is even said to be the habit of people who possess ill morals. Taking all this into account, Muslim youth have to follow the guidance of Islam and give up non-Islamic habits. Muslims are permitted to make the best use of the advanced technology of all peoples, but they should not try to imitate their way of dressing or hair styling which negates the appropriate Islamic protocols. As for relating such issue to personal freedom, we’d like to draw the attention to the fact that man’s personal freedom is not questionable. But man should make use of that freedom to improve himself economically, educationally or so on, so that he may bring about many benefits for himself and for the whole society. Nevertheless, it is forbidden for a Muslim to do anything that contradicts the teachings of Islam or causes any harm to others. So, the notion of personal freedom is shaded in bracket when it comes to how Muslim should behave; he is free to act as he likes as long as he does not go against the teachings of Islam. In conclusion, Muslim youth should follow in the footsteps of righteous youth who adhere to Islam and stick to its teachings, so as to make the Muslim Ummah the best nation ever raised for mankind."